Tell us a little about yourself, including how you came to be Art Director at Alison Green Books. I studied a BA in graphic design at the University of the Arts in Bournemouth. I wasn’t too keen on the more serious sides of graphic design, and quickly found that children’s design was an area that lends itself to fun and personality. After my degree show I was fortunate enough to be offered a position at Random House Children’s books as their junior designer. I worked across the list, designing books from board books right up to young adult and stayed for 5 years, working my way up to senior level. 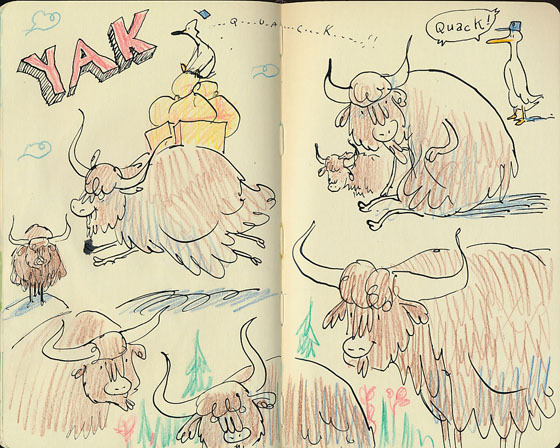 After that I spent 3 years with Puffin, working exclusively on their picture book list. This was an exciting opportunity to work with inspirational artists such as Quentin Blake and Jan Pienkowski, as well as helping to establish the Puffin Boutique picture book list. Finally in 2005, Alison Green was looking for a designer to help her start up the imprint Alison Green Books, a part of Scholastic books. I was lucky enough to get the job and work with the lady herself! That’s how I came to be Art Director for Alison Green Books. Alison Green Books, part of Scholastic Children’s Books, publish high-quality picture and novelty books from some of Britain’s best creators, including bestselling and award-winning titles by Julia Donaldson and Axel Scheffler. Describe the ethos behind this highly successful imprint. We only work with lovely people – no divas allowed! Honestly, it’s quite hard to describe the ethos. It’s largely driven by me and Alison, and our interests, so it’s quite hard to put your finger on what it is. Our main focus is to provide a supportive environment for authors and illustrators, to work collaboratively and really encourage them to experiment and develop. We do have a lot of tea and cake during this process, it’s true. We began by sitting in a bare room (Alison’s office) for a long time (a year) and just coming up with ideas. The first year was tough, we had nothing to show for ourselves and most people in the company didn’t have a clue what we were up to. 7 years later, we have a strong list with some very talented illustrators and authors. Both Alison and I have a wish list, and we regularly talk about who we want to work with, who inspires us, and where we have gaps in the list. 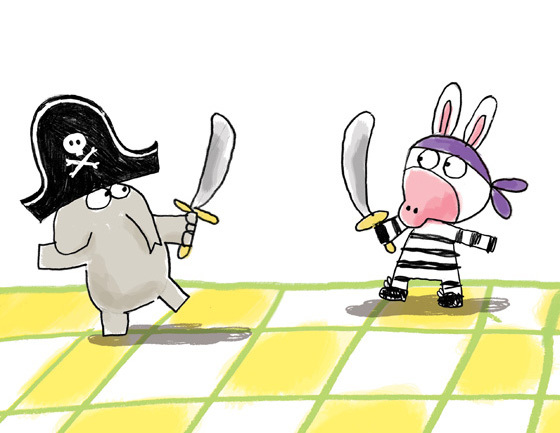 We try to maintain a mix of established illustrators like Nick Sharratt and Axel Scheffler, along with new talents like Hannah Shaw, Thomas Docherty and Sharon Rentta. I am always on the look out for new talent, searching blogs and visiting degree shows. Our aim is to have something for everyone and, fundamentally, good stories. After all, if the story is good, children will come back to it time and time again. Talk us through the picture book process, explaining the various stages involved. Well, in a nutshell, it all begins with a good story. From that point I will already have ideas about who might be a good fit for the illustration – taking into account the balance of the list, and where we want to sell it. With Alison Green Books we have been very lucky to find a lot of illustrators who like to write, like Helen Stephens, Sharon Rentta and David Wojtowycz. Their sketch books are bursting with ideas and characters, and they often just need a little encouragement and editorial help to make them into a story.Elephant Joe by David Wojtowycz was a particular favourite example of this. Once we have the illustrator in mind, Alison and I present the text along with some illustration samples at a publishing meeting, in front of our MD, the Editorial Director, and Sales Director. As soon as everyone is on board, I’ll commission the illustrator and we start work on the characters. This stage in the process is really exciting and also really hard! The characterisation is key to everything. It’s very important that the main character can ‘carry’ the story convincingly. Can they make lots of facial expressions, stand in different poses, sit down, kneel, twist etc? Rather annoyingly, I’m sure, I usually ask the illustrator to do pages of characters roughs, working on body shape, expressions and poses. Once the characters are finalised, we thumbnail out the story. At this stage I do a basic text setting, and look at pacing, drama and where the page turns fall. I am looking to make sure that we have conveyed the action in the text clearly, that we’ve used the best angle and have dramatic high points. 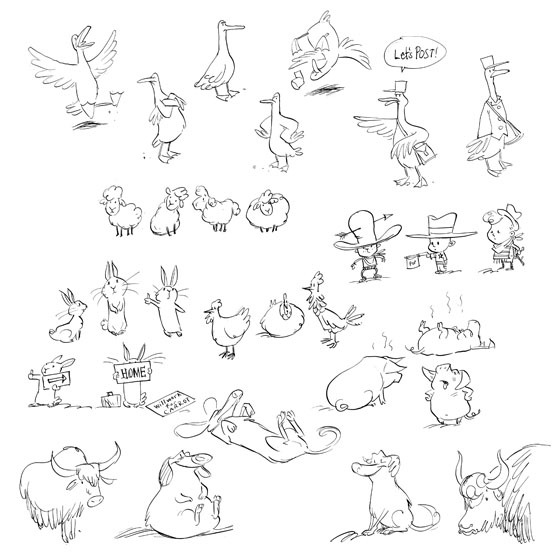 We work very hard at this stage, often going over the thumbnails 3 or 4 times to get it right. I make the thumbnails up into a mini book and Alison or I will read it aloud . . . story time (usually with tea and cake!). After this is finished the illustrator is free to work on roughs, adding in lots of details and really getting to grips with the characters. We do a final text setting, just to check it all fits in, and then we crack on with artwork. Overall the whole process can take 6-9 months, sometimes longer. 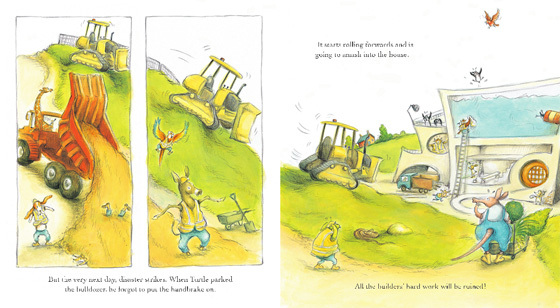 Elephant Wellyphant by Nick Sharratt is one of the company’s biggest successes. What are some of the challenges associated with art directing novelty titles? Elephant Wellyphant is a great book because it is simple and clever. We try to ensure that the engineering has a purpose and is interactive – it can’t just be a flap stuck on for the sake of it. Nick Sharratt came to us with the idea already sketched out in his notebook, and we brought in the brilliant paper engineer, Nick Denchfield, to help with the trickier elements. It is very challenging to make a ‘rude smelliphant’! You have likened illustrating a story to making a film. Could you elaborate on this point for us and give examples? Oh, yes, I did say that at some point! 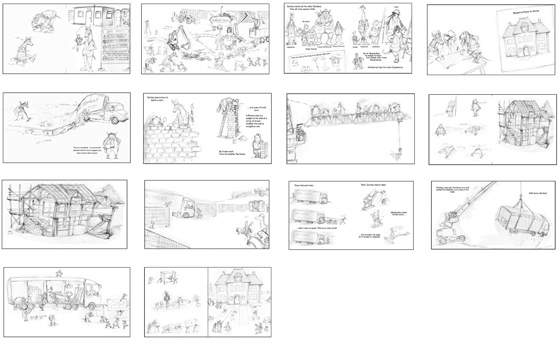 Well, I guess it is the storyboard and thumbnailing process I described earlier. It’s such an important part of the process. Each spread needs to feel dynamic and exciting and play with the readers’ emotions. Films are rarely shot from the same one angle and likewise in picture books, variation in perspective and scale can help add drama and energy, whilst a minimal linear approach can keep a story quiet and simple. and then when the Lion comes to the rescue. The combination of the text break and the page turn really help to add to the suspense. 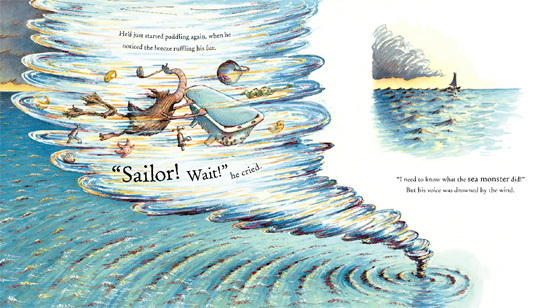 In ‘The Snorgh and the Sailor’ the first half of the book is quiet, set mainly in the Snorgh’s house and on the beach outside. As the story develops and the Snorgh embarks on his adventure, the pages become full bleed images of swirling seas and big creatures. Thomas Docherty has played with scale and perspective to add to the drama. Alison Green Books has launched the career of many new illustrators including Sharon Rentta, author and illustrator of A Day with the Animal Doctors. 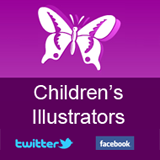 How does working with a new, as yet unpublished illustrator, compare to collaborating with established, highly acclaimed names such as Axel Scheffler? Both are exciting and challenging in different ways. We have some wonderfully experienced authors and illustrators on our list, including Axel Scheffler and Julia Donaldson. Both are extremely professional and deliver fantastic work over and over again. I feel incredibly lucky to work with Axel, he has a wealth of experience and knowledge, and he knows his own mind. He is also very funny and inspiring! I am always on the look out for new talent and we were very lucky to find Sharon Rentta at her MA degree show. New graduates are exciting and full of energy and ideas; it is our job to nurture and channel this raw talent into making good books. Sharon is constantly developing and is now working on her 6th book ‘A Day with the Animal Builders’. Her style is continually evolving, and she always listens and responds to feedback and ideas from us. What kind of subject matters or characters really grab your attention when it comes to reviewing illustrators’ work? There is no one thing in particular, but I would say in picture books a lot is down to characterization. 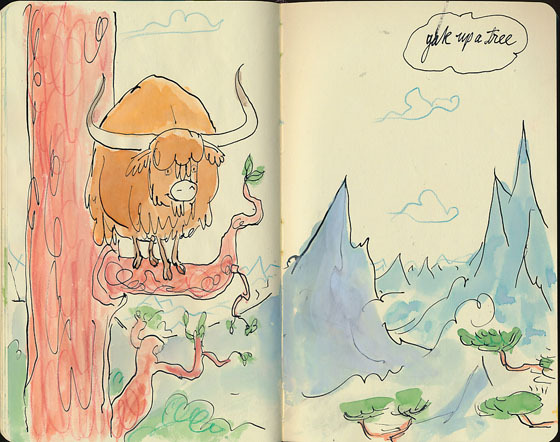 I love looking at sketch books, and often there are some hidden gems lurking in the corner of pages, forgotten. From an artistic perspective, what are some of the key considerations when it comes to ensuring a book will reach maximum sales potential? A good cover really helps! Eye-catching, and simple, with a character that draws the reader in. We try to imagine how it will look reduced down to a thumbnail on Amazon, or across a shop floor in the book store. 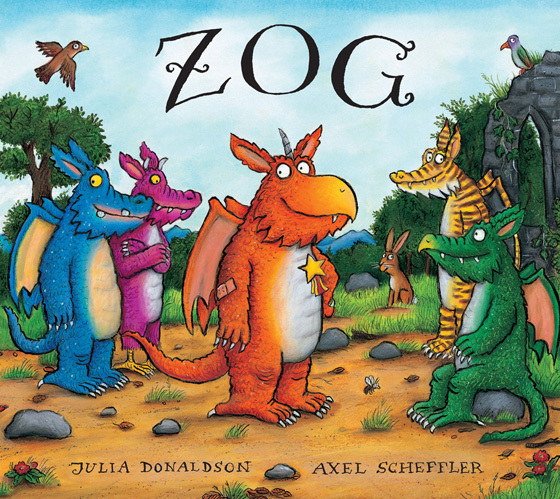 An endearing character with personality, like Zog, or warmth, as in ‘How to Hide a Lion’ work particularly well. Innovative finishes help too. 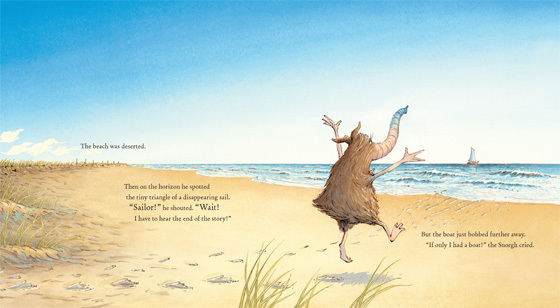 Which children’s book has given you most satisfaction to art direct to date and why? That’s a tough question to answer! One of the things Alison and I decided early on is that we would only work on books that we really believe in, and as a result we wear our hearts on our sleeves. I genuinely want all my books to succeed, and I love all of them equally! I feel I should mention Helen Stephens here though. I love the working relationship we have; she doesn’t always agree with my ideas and art direction, but she will always give it a go (she humours me!). Then she will come back after that with an even better idea that I hadn’t even considered. She works so hard, and puts a lot of life into all her drawings both physically and emotionally. I very much admire her artwork and her work ethic. 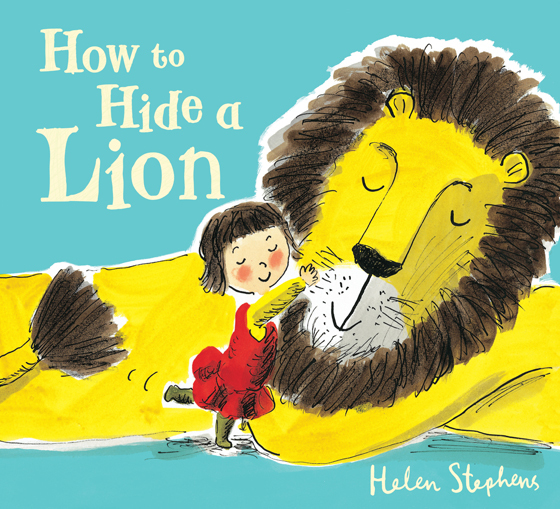 ‘How to Hide a Lion’ is a great book. 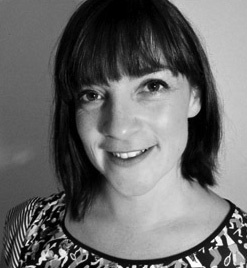 Alison Green Books is in its 7th successful year, what surprises has the imprint got in store over the coming year? That’s top secret! Well we have a fabulous book coming from Julia Donaldson and Axel Scheffler called ‘Superworm’, definitely one to look out for. I’m particularly excited about ‘The Snatchabook’, from Helen and Thomas Docherty, as well as ‘Captain Quack and the Yak’, written by Alison Green and illustrated by the brilliant Adam Stower.